Vienna Valentine7 – Break ice. Break records! 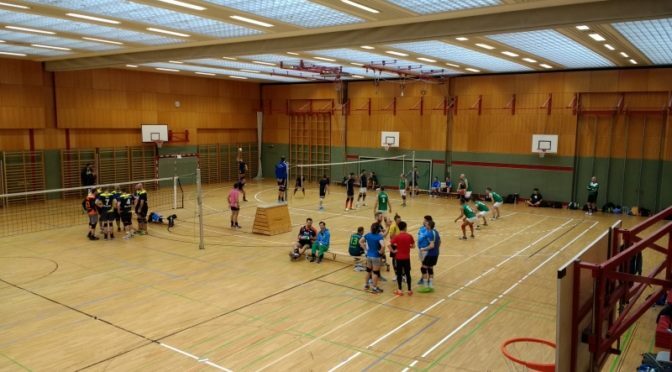 On the weekend from 10 to 12 February, more than 310 athletes gathered for the seventh edition of the Vienna Valentine Tournament. Austria’s largest international sports event for lesbian, gay, bisexual, transgender, and intersex people offered swimming and volleyball competitions. The volleyball tournament, hosted by Sportverein Aufschlag Wien, attracted more than 130 competitors and was carried out in three categories: B+, B-, and C. In sum, 17 teams – a record number – from Austria, France, Germany, Poland and Slovenia competed for the crystal medals. The team “Green Flamingos 1” from Ljubljana made the first place in level B+, the “Blockbusters” from Stuttgart prevailed in B-, and team “Chillli C” from Katowice, Poland won the final of level C.
After an intensive sports day, athletes, supporters, and friends celebrated together at “queer:beat” at Aux Gazelles, one of the fanciest party locations in Vienna. VIVA8 will be taking place in February 2019! See you there!